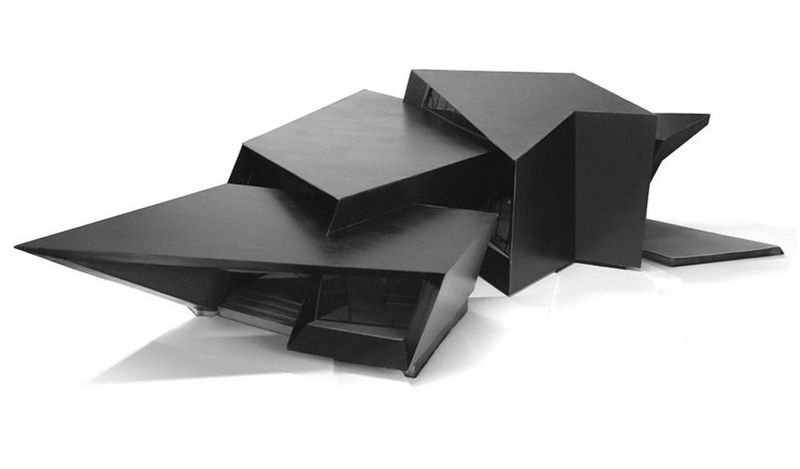 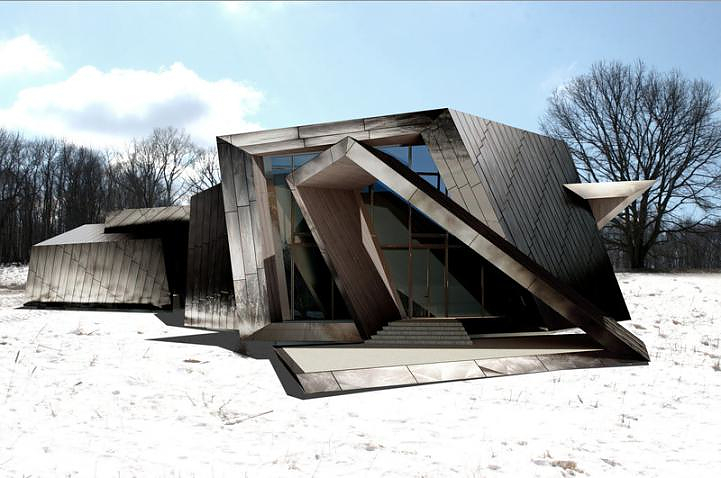 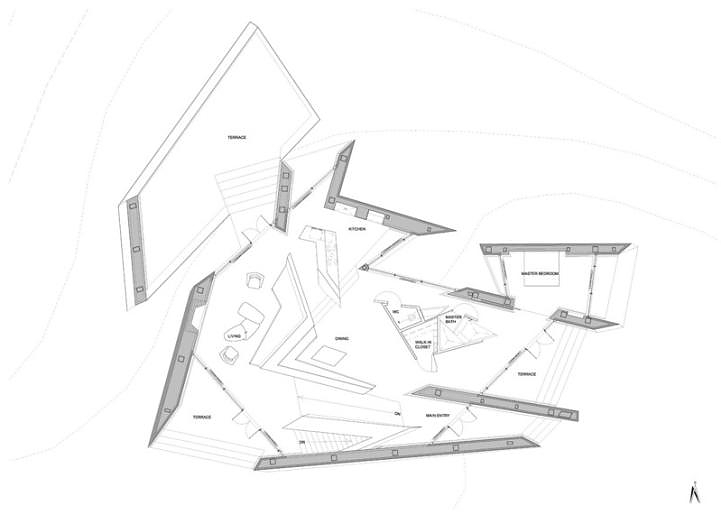 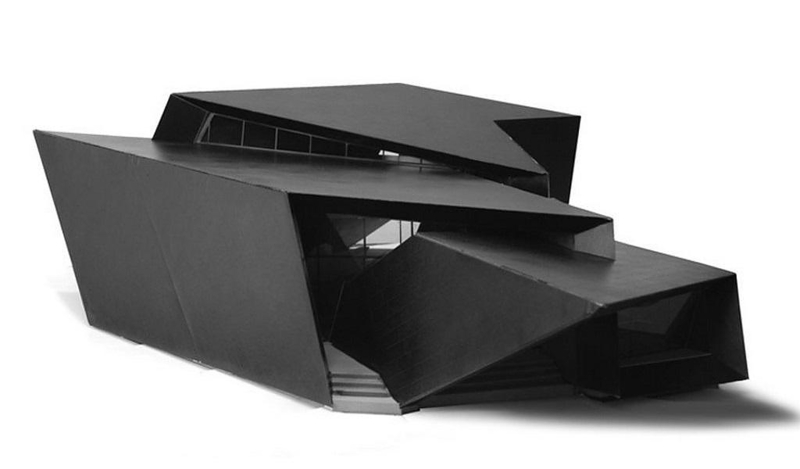 HomeBlogArchitecture18.36.54 House by Daniel Libeskind. 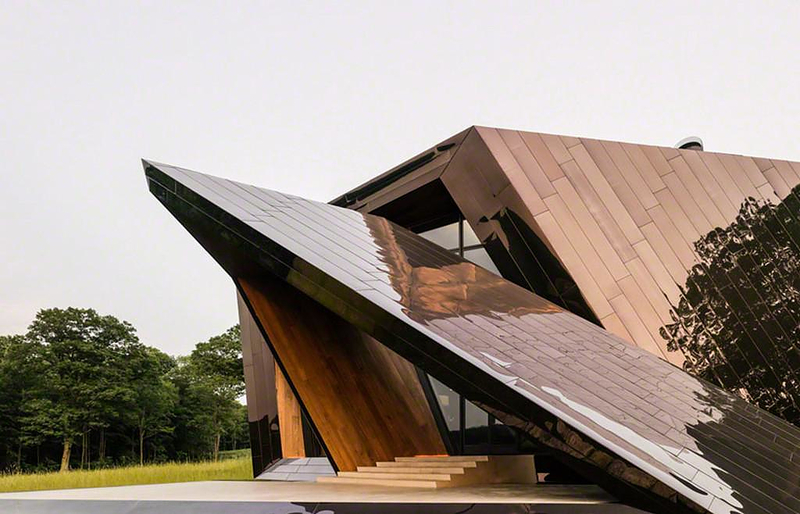 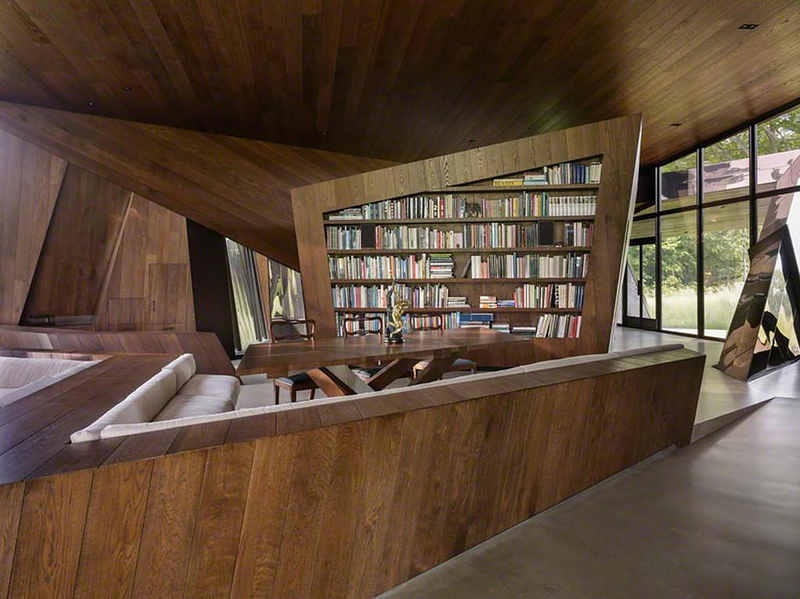 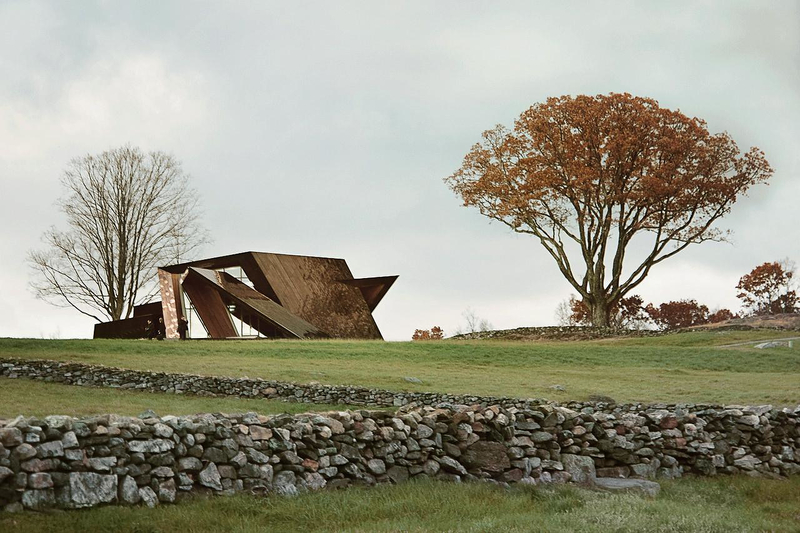 Eighteen (18) planes defined by 36 points which connect with 54 lines is all it took for Studio Daniel Libeskind to design the 18.36.54 house. 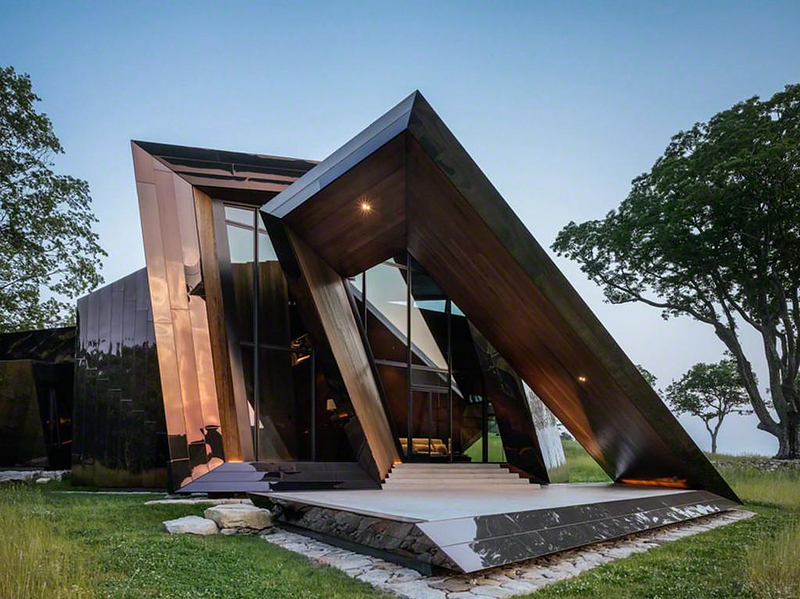 Situated on a picturesque 54 acre hay field of western Connecticut, the single family 2,000 square feet home incorporates its environment without sacrificing anything of its own. 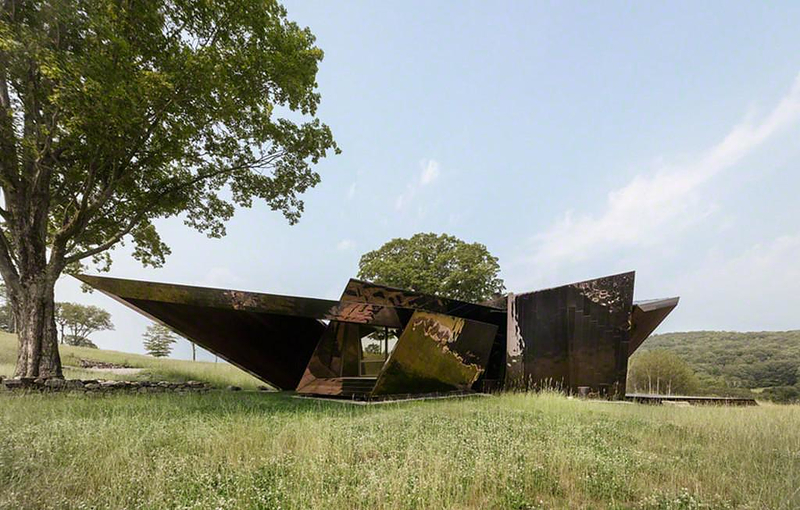 The reflective surfaces covering the 18.36.54 house are clad in mirror-finished bronzed stainless steel. 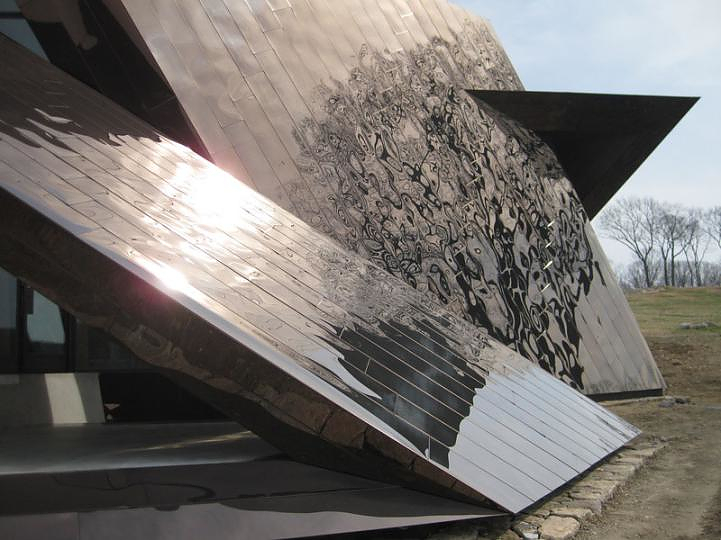 This material allows it to interact dynamically with the viewer as it constantly adapts and reflects the weather and environmental changes around it. 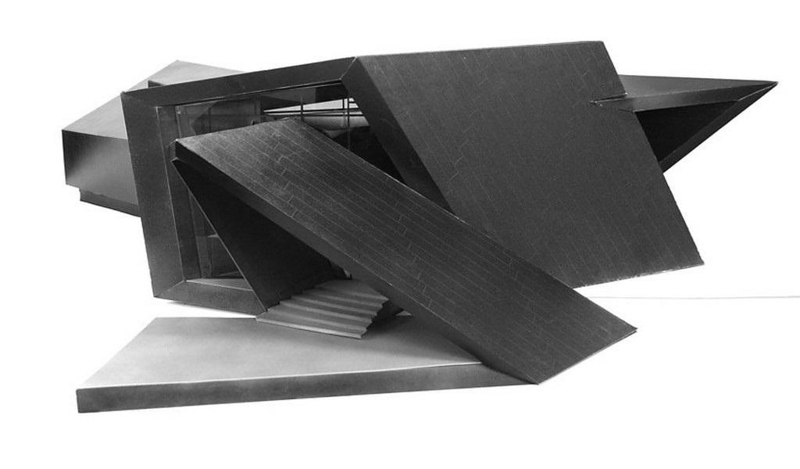 The main design of 18.36.54 house looks like a folded ribbon, flattened and creates an unexpected frame for the unimpeded view. 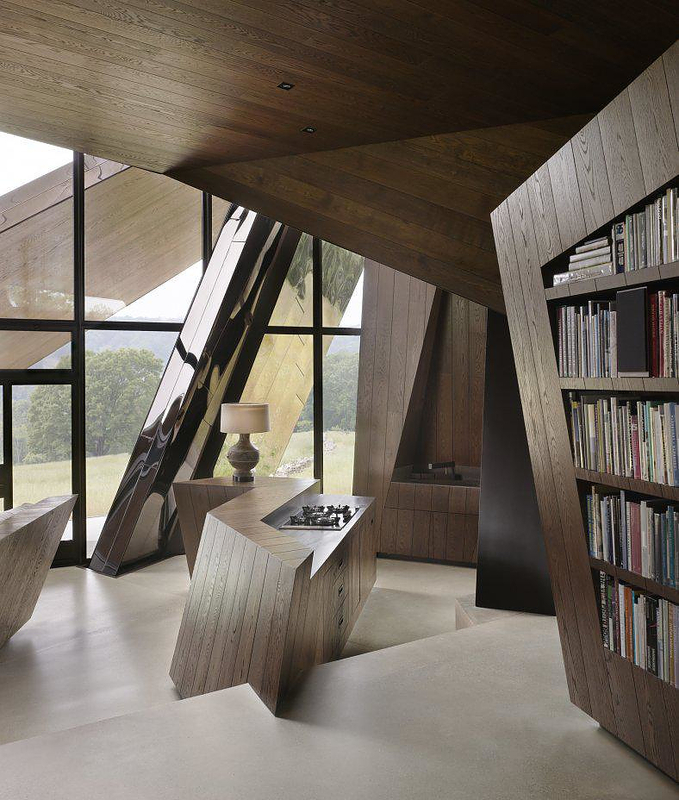 Large glass surfaces enclose the interior space which is furnished with custom made finishes, cabinetry and built-in furniture. 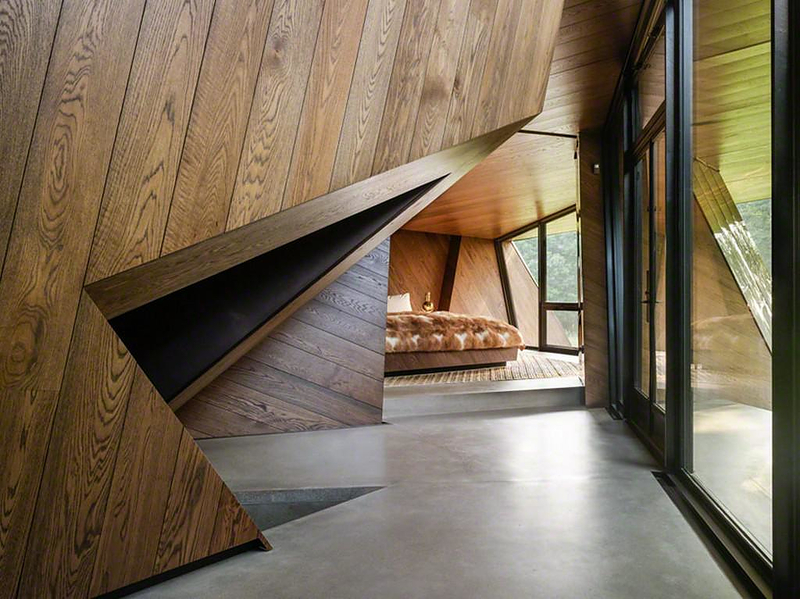 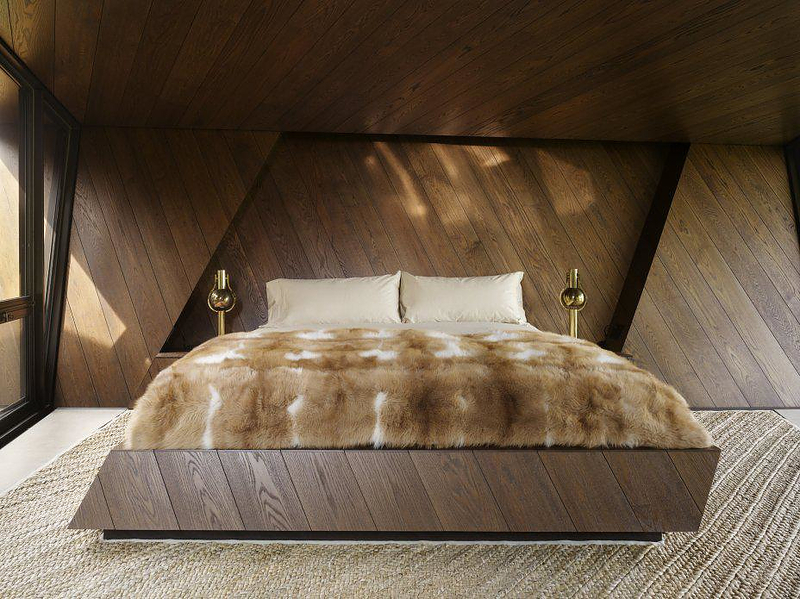 The interior finishes and elements where handcrafted from locally harvested oak wood. 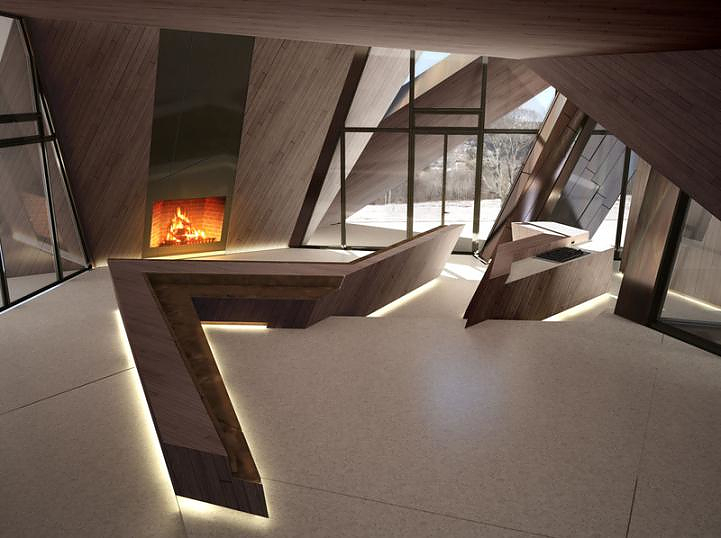 The interior plan follows a free form of fluid movement for one space to the next. 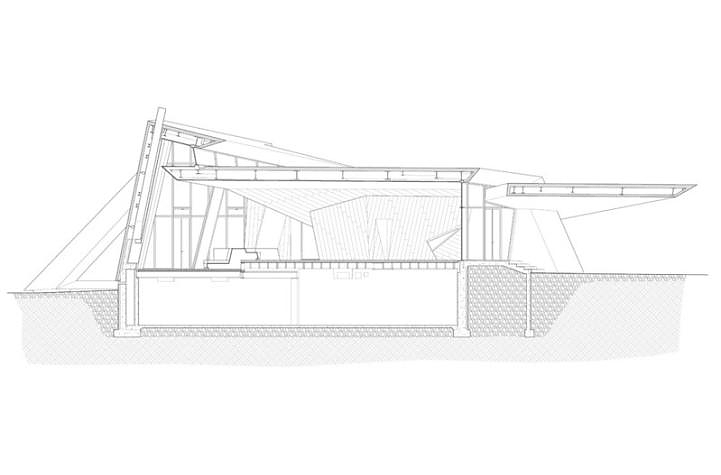 The circulation throughout the 18.36.54 house is seamless and free flowing. 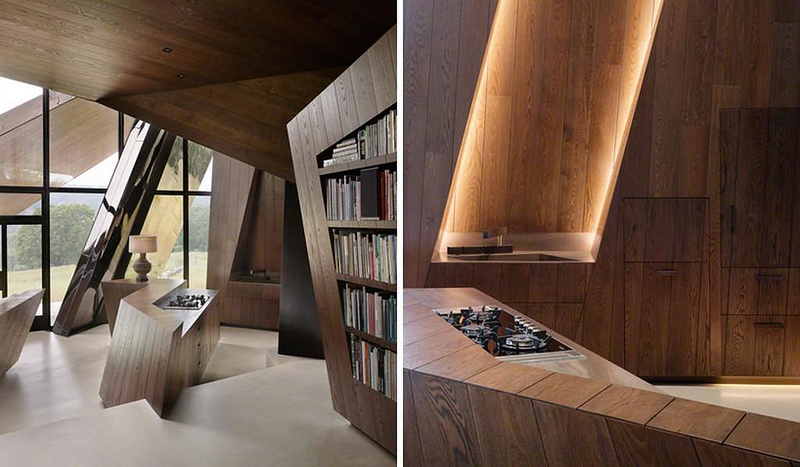 The custom made finishes, and a small floor level difference on the kitchen floor both distinguish the kitchen, living, dining and sleeping areas without separating them. 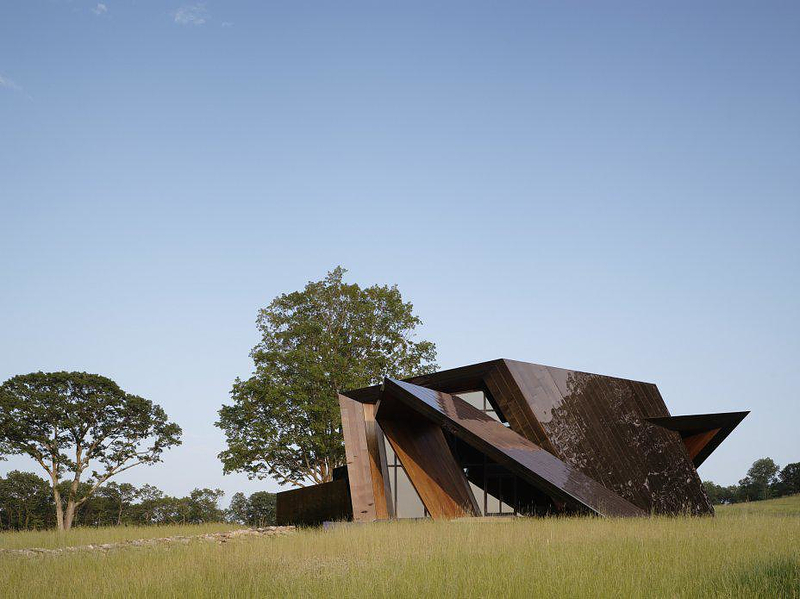 The seamless theme is applied to the interior/exterior distinction; with the choice of materials such that the bold design does not sacrifice itself to its natural setting but selectively incorporates the elements therein for the enhancement of both house and landscape. 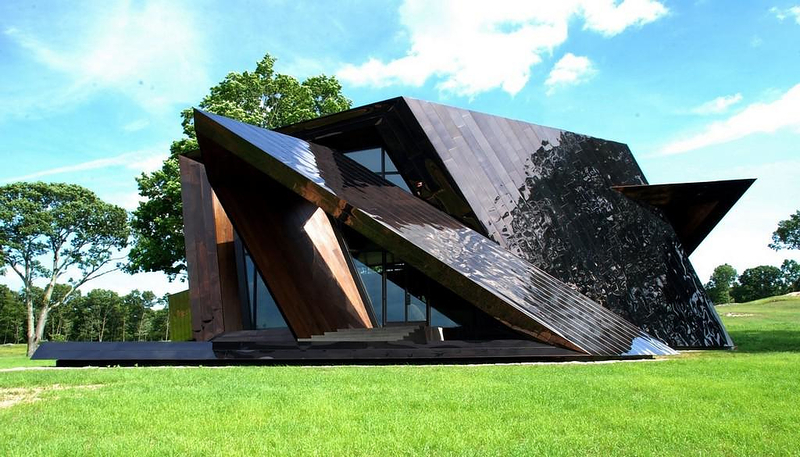 Daniel Libeskind is famous, we could say notorious, for his edgy, geometrical post-modern designs. 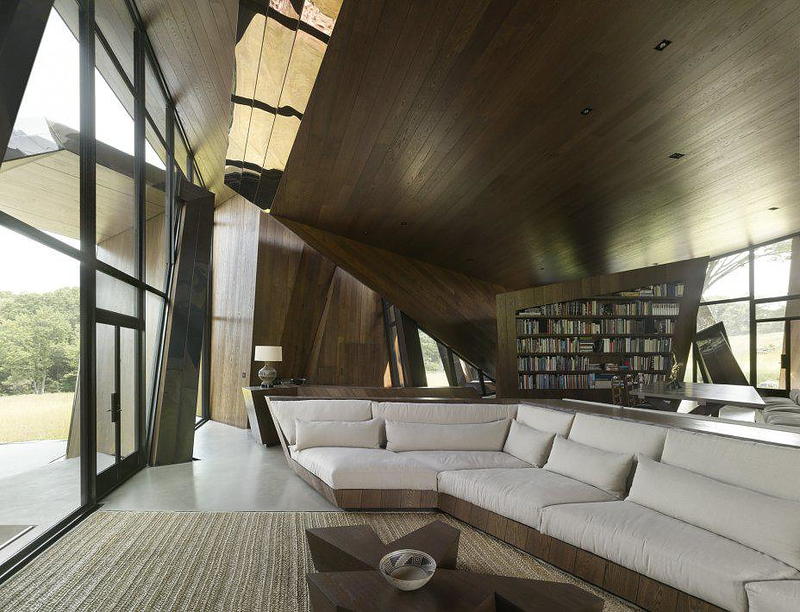 His innovative and breakthrough work has received intense critique, as well as big appreciation, especially by the users which seem to love his buildings. 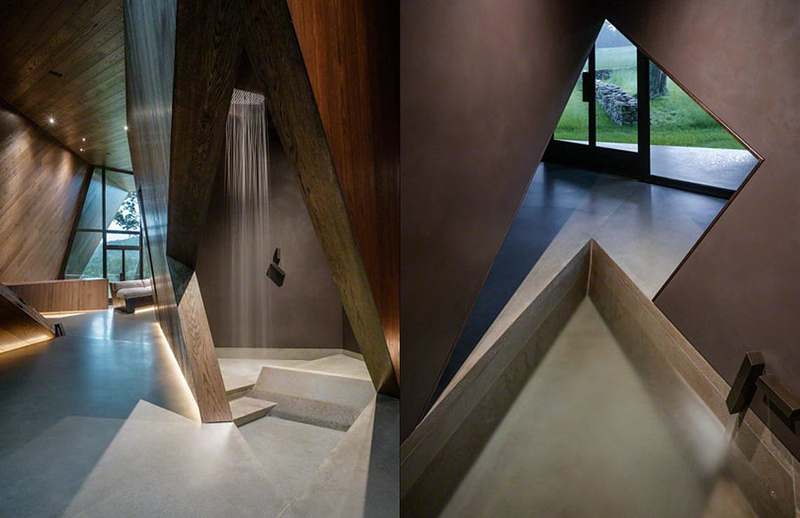 His 1989 Studio Daniel Libeskind is based in New York and in Milan. 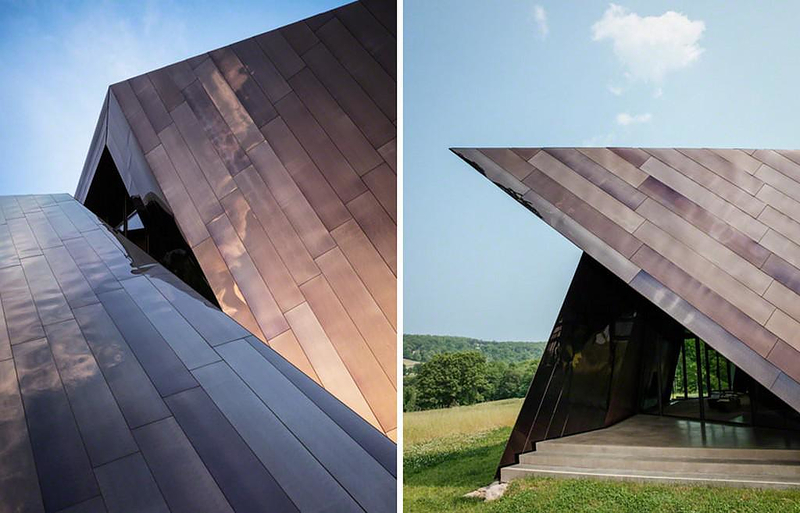 The 18.36.54 private house was his own personal designed, finished in 2010. 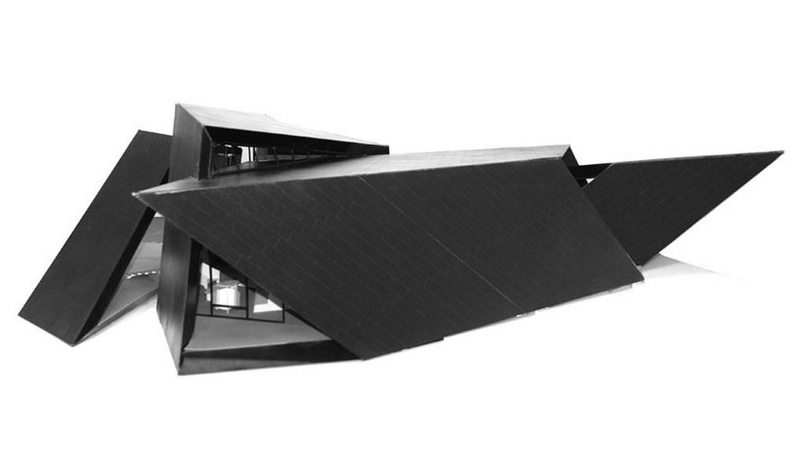 Dongdaemun Design Plaza by Zaha Hadid Architects.